Roman is currently working on a book on models and theories. He has published papers on scientific modelling, quantum mechanics, the foundations of statistical mechanics, randomness, chaos, complexity theory, probability and computer simulations. Roman is Director of the Centre for Philosophy of Natural and Social Science (CPNSS), Co-Director of the Centre for the Analysis of the Time Series (CATS), and Senior Lecturer in the Department of Philosophy, Logic and Scientific Method, all at the London School for Economics and Political Science (LSE). 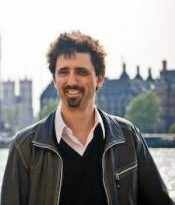 Roman holds a PhD in philosophy from the University of London, and MScs both in theoretical physics and philosophy from the University of Basel, Switzerland. The nature of probabilistic forecasts in chaotic climate models.